Tender of chicken with snow peas, red bell peppers, onions, carrots strips, shitake mushrooms in lemongrass and spicy garlic sauce. 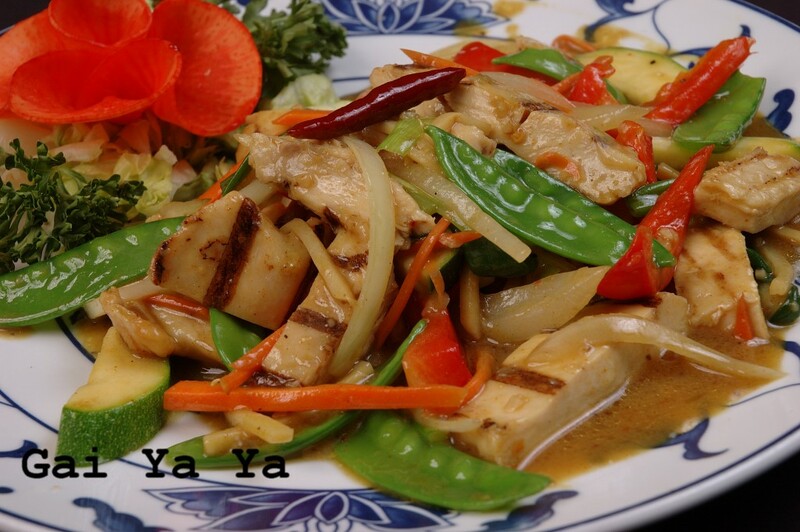 Tender of chicken with red bell pepper, snow peas, baby corn, & pineapple in chef special sauce. 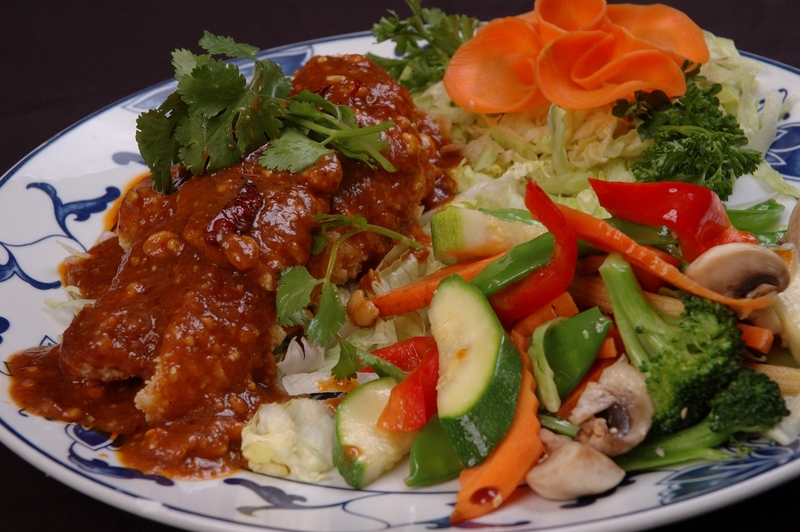 Tender of chicken with onion, peanuts, raisin in chef's special spicy light curry sauce. 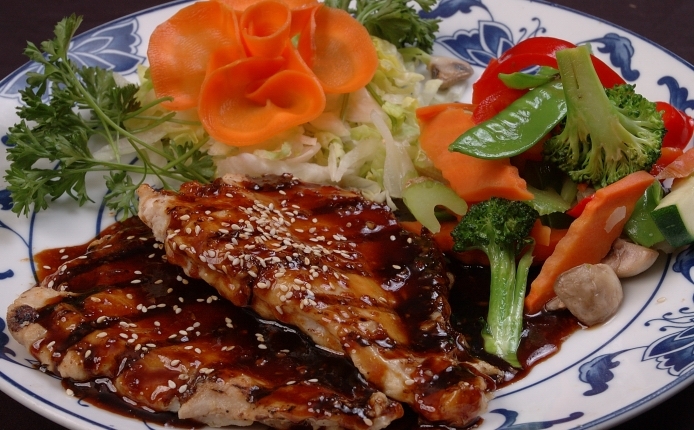 Chicken marinated with Chef bourbon garlic sauce and served with steam vegetables. Fresh garden salad in chef special light sauce. 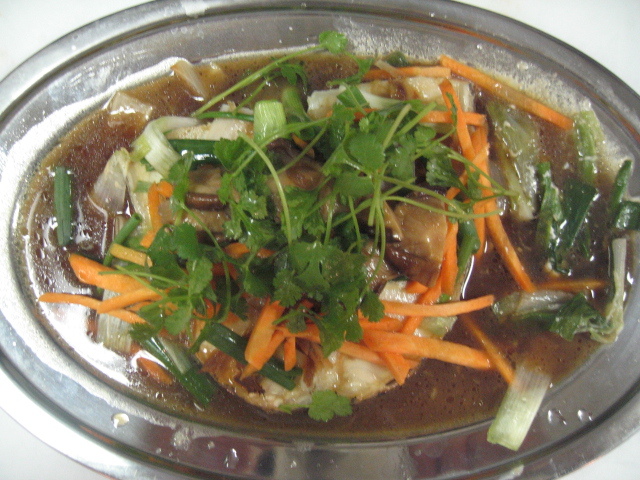 Chef's special sauce served with steamed vegetables. 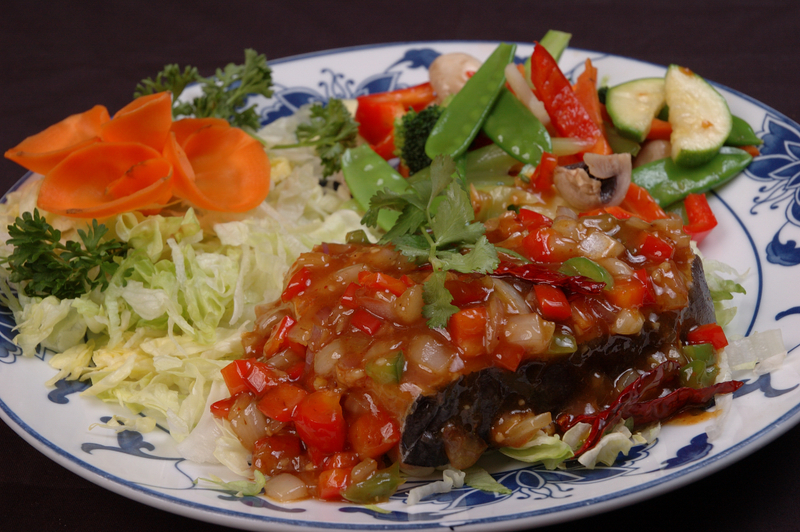 Fresh tender of beef cooked with snow peas, bell pepper, waterchestnut in chef's special sauce. Marinated with chef's special sauce and Grilled to prefection. (Served with steam vegetables). 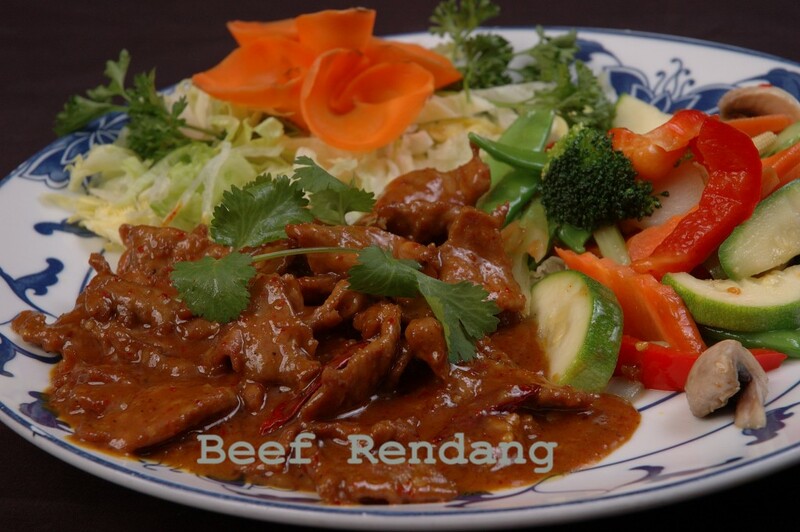 Tender pieces of sirlion beef simmered with exotic spices, cinnamon, cloves and lemongrass, in coconut milk. (Served with steam vegetables). 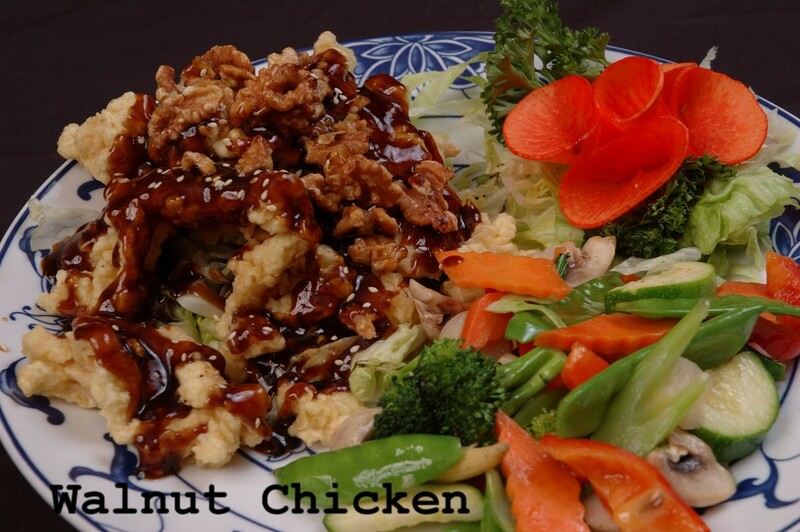 Marinated with chef's special sauce and served with steamed vegetables. Fresh sirloin grill sauteed with onion in chef's special sauce. Jumbo Shrimp, beef & white chicken with snow peas, yellow onions, mushrooms, carrots, and brocolli sauteed with fresh garlic sauce. 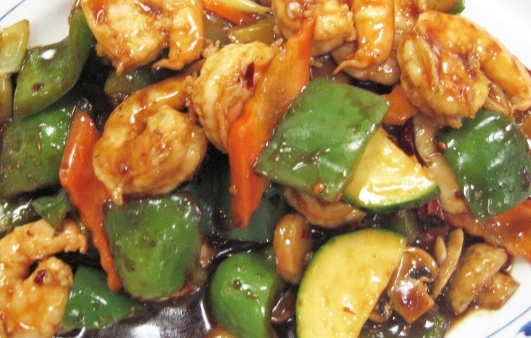 Jumbo Shrimp, scallops & white chicken fused with the flavor of garlic ginger and hot pepper paste. 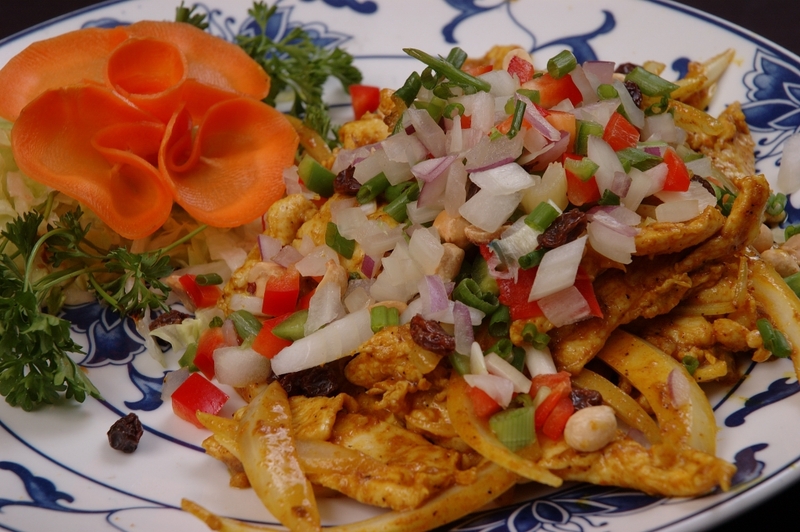 Jumbo shrimp with onions, peanuts & raisins with chef's special spicy curry sauce. Jumbo Shrimp with red bell pepper, snow peas, baby corn, & pineapple in chef special sauce. Jumbo shrimp sauteed with chef's special sauce. White sauce served with steamed brocolli. 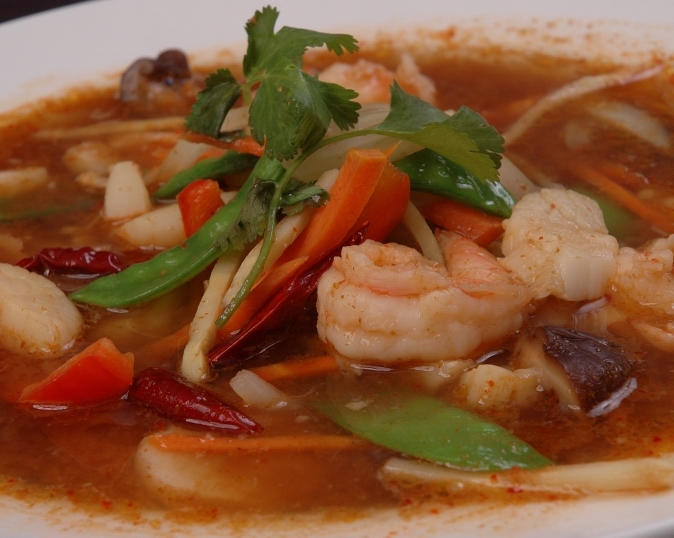 Shrimp and scallops with rice noodles. Steamed sea bass cooked with snow peas, shitake mushrooms, scallion, red bell pepper in a taste of ginger and garlic sauce. Grilled and served with steamed vegetables. Fresh Halibut grilled with thai spicy, lemongrass and chili sauce. (Served with steamed vegetables). Crispy with red curry and coconut sauce. (Served with steamed vegetables). Choice of sauce: Chinese or Thai. 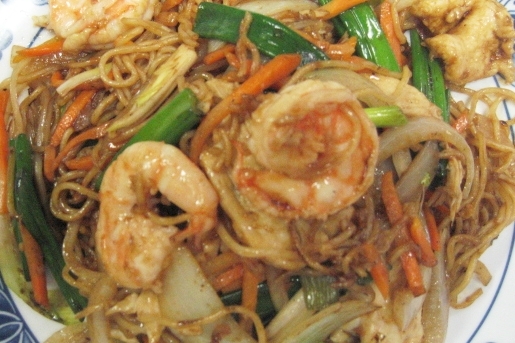 Jumbo Shrimp and white chicken sauteed with thin noodles, carrots strips, yellow onions and scallion - simply delicious. Shrimp, scallops, green muscles & crab meat cooked with zucchini strips, yellow onion, carrots strips and scallions.